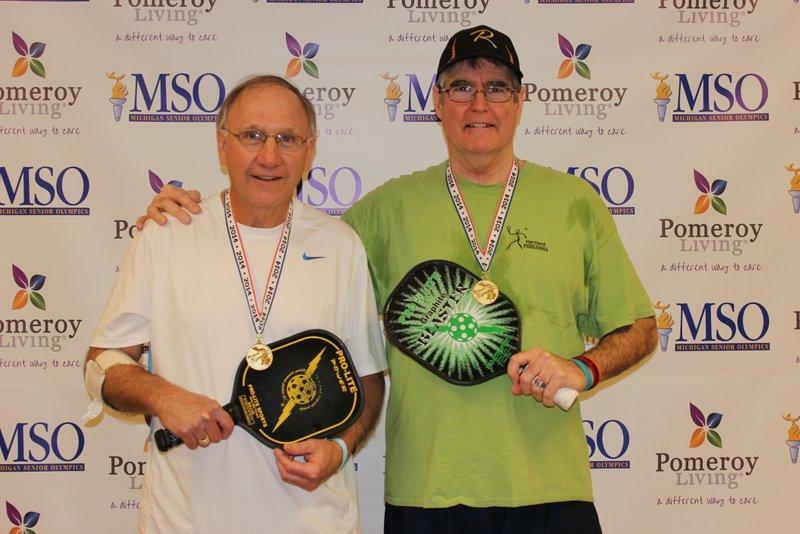 Michigan Senior Olympics – Toledo Winners – Pickleball is Thriving in Northwest Ohio! Congratulations to our Toledo Pickler’s Tim Hacker and Charlie McKnight for winning gold at the Michigan Senior Olympics in the Men’s Doubles 60-64 bracket. Tim and Charlie defeated the strong team of Glenn Geda and Dave Sabino (11-7, 11-7) to take the gold. Charlie also won the silver in the men’s 60-64 bracket in his first single’s attempt, losing to Stu Hastings (12-10, 11-4) in the finals. The Michigan Senior Olympics were held February 10-13 in Rochester, MI. The winter event features athletes in 10 different sports, including Pickleball, for anyone over the age of 50. Congratulations again Tim & Charlie. Thank you for representing Toledo Pickleball in gold fashion! ← San Diego Padres – Spring Training Pickleball?! !